Carbon Fiber 510 drip tips reinforced with Stainless Steel end caps. Goes great with Aspire's CF Sub Ohm Battery and Aspire's CF 1600mah Battery or just about anything. 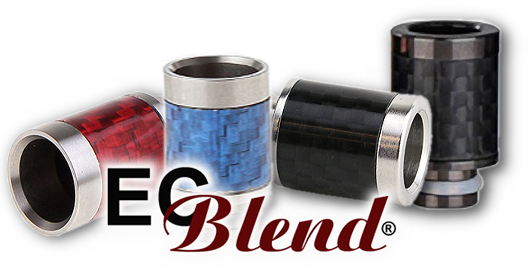 Click the button below to add the Drip Tip - ECBlend - Carbon Fiber and Stainless Steel to your wish list.